But then the starting point. The various criticisms of Deleuze note that the feast of endless differences no longer guarantees liberation. Present-day capitalism has bid farewell to totalising regulation. Digital capitalism has even turned Deleuzian. The carnivalesque character of everyday life now guarantees high profits through the permanent revolution of its own order. The 'radical chic' of NOX is an expression of this. Instead of distinguishing between what is important and what not, we are burdened with a multitude of lifestyles that co-exist in sweet harmony. In embracing pluralism and the endless relations that an intelligent system can generate, more and more designers (NOX among them) are fearful of placing a particular antagonism or alternative above another for fear of choosing a faulty cause as already happened with modernism, communism and Maoism. The danger, however, is that the search for difference or the stimulation of the unpredictable is elevated to an absolute law, and the possibility of difference is fetishised. There is a big danger that the machines built by NOX engineer nothing but an advanced form of entertainment, precisely because in no way do they express support for or opposition to anything, except a desire to be self-organising and interactive. In the future it will, I think, no longer be a matter of machines that just generate difference. The collage has had its day. It will have to be about new forms of representation and action that make visible and productive differences that matter. That's why I'm looking forward to the next NOX experiments, which I hope celebrate more than just the Deleuzian paradigm. This book is not a monograph as such, but a glimpse behind the scenes. 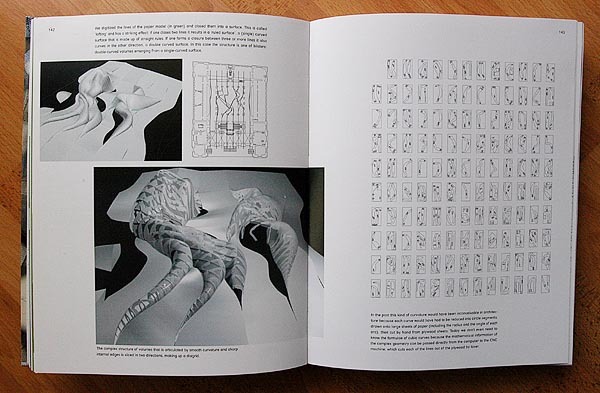 It's a manifesto, a thesis, and a cookbook full of recipes for how to make interactive, complex architecture. Internationally renowned writers such as Andrew Benjamin, Manuel DeLanda, Brian Massumi, Detlef Mertins, and Arjen Mulder discuss the work of Spuybroek's office NOX from the perspectives of architecture, philosophy, history, (media) theory and biology. the aim of Deleuze is to liberate the immanent force of Becoming from its self-enslavement to the order of Being.' Man must be the producer of unpredictable creations, full of differences, intensities and permanent interaction. At the same time, he must embrace the reality of the virtual nature of our existence. 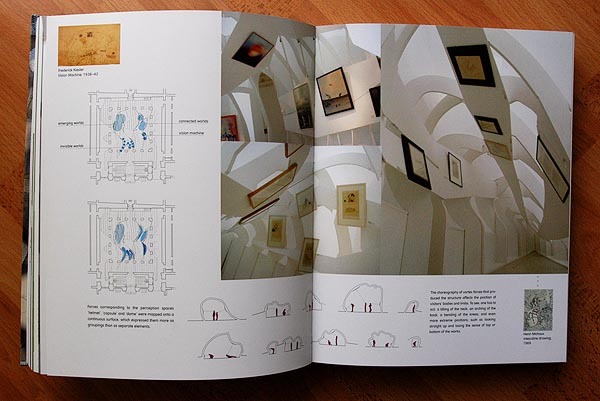 The impressive thing about the NOX book is that it shows how this and other abstract concepts are translated into the practice of architecture. The book makes clear how the ideas of Deleuze and Guattari can be further considered in terms of structure, material and spatial activity. In that sense, this book is recommended reading for philosophers in danger of losing sight of everyday reality. Beyond that, the book forms an excellent introduction for architects to the ideas of Deleuze.